After three solid days of "conferencing" in San Antonio, I am happy to be able to spend a bit of time reflecting, processing, and synthesizing a few things learned. I think it's important to have a plan or system for how to collect and share conference resources with teammates, colleagues and others. Of course, the use of collaborative Google Docs or Slides is a go-to for many of us. I've recently started implementing outline mode in my digital note-taking, and I hope the headings and subheadings will make the massive document a bit easier to manage. Of course, I had Tweetdeck going for TCEA, but our group also created a Twitter hashtag, #R10atTCEA. It wasn't used as much as I would have liked, but I loved that others in Region 10 contributed to this hashtag, too. John Bimmerle, a TCEA area director, took curation and Wakelet to the next level, and I loved this idea! He facilitated Solution Circles throughout TCEA, and he created a collaborative Wakelet for every single session AND made them public so we can see all of the session ideas and notes! I'm always a bit bummed when presenters don't share their slides/resources, but that only happened a couple of times during this conference. Something new that I would like to adapt is a "condensed" version of the slides. I attended a 3-hour workshop from Mandy Froehlich, and instead of sharing her entire slide deck, she gave us a condensed version of organized resources. She used the same template as her original slide deck, but included only slides of the key definitions and resources. Her presentation slides were colorful and more detailed, and this small deck was mostly grey. I thought this was a great idea because it allowed us to focus on her content, but when necessary, we could click links for activities or additional resources. The conversations in the hallways are often the most valuable! For an introvert, it is always a push for me to strike up conversations with strangers, but that was a goal that I met this year. (I even had a conversation with two other educators while waiting in line to board the plane home.) Now that I've worked at the service center for 3.5 years, the conference felt like a mini-reunion, and I ran into former colleagues and people from districts all over Region 10. One glaring takeaway: when facilitating an extended workshop and expect interactions (i.e. "turn-and-talk" activities) take time at the beginning of the presentation for introductions. I think I always remember to do that, but when it's absent during a session, I feel it's sorely needed. I have now volunteered at several conferences, and I think this will be a must-do for me for all future events. Not only is it a way to connect with other educators, but I feel it's a very small way to give back to all of those who worked to put on this massive event! I had a great time greeting people at check-in, and helping in the Google teaching theater is always a learning experience. BTW ... I figured out how to add my wife's Bitmoji to the page as well. After several days of learning-overload, it's so important for me to process and reflect. One new thing I tried this year was to create a separate document for singular ideas and reflections. I kept one document of session content notes (resources, links, summaries, etc.) but when I experienced something that I wanted to use for my own work, I added that idea to a different document of "Random Ideas." When I saw an interesting way to format slides, start a session, survey question, or prompt, I added that to my other document. I hope this will be helpful with future work. I'm also fortunate to work with a colleague who likes to "convention" like I do. After a full-day at the conference, I'm ready to get a super early dinner and then go back to the quiet of my room...and she wants exactly the same! Our dinners were very work related though, and we spent the majority of the time sharing ideas and information we experienced and discovered throughout the day. I was also determined this year to find the good in every session or experience. In the past, I sometimes left sessions feeling like I just lost an hour of precious time, so this year, I was on the lookout for even the smallest takeaways. Armed with that mindset, I got something from every session. When I was completely unimpressed, I didn't feel guilty about sneaking out of the back...and my takeaway was to be extremely thoughtful to make certain my session description matches the content of my session. My final thought and goal was to reflect and blog ASAP, and voila! (I've been home less than 24-hours, and I have this new post!) As a bonus, I attended a session with Lisa Johnson on Notable Note-Taking, and I've been a fan of her digital/analog notes, so I'm trying something I've admired in her work...my sketchnote of take-aways, along with a Thinglink. Conference learning is powerful in so many ways! These days, I don't think I should expect (or want) to walk away from conferences with tools; instead, my head is full of ideas to try. I enjoy January, the start of a new year, and new beginnings. During the past several years, I created resolutions, participated in happiness projects, wrote 18 goals for 2018, and distilled yearly themes to #oneword. (This year's word is heart, by the way.) As part of our work evaluations, we write and submit reflections on our past and future goals, and I really enjoy that process. (I wonder how many people like completing these reflections?) I'm currently working on a portfolio for a certification project, and the synthesis process is very fulfilling for me. In spite of all of my thinking and reflecting, for the past several months, I feel that I lost my sense of direction, and I am zigging and zagging all over the place. I don't think I even realized I was at such a loss until I heard the discussion of "Defining Your Everest" during an interview with Dave Stuart on this podcast. Bottom line, I would like to distill my work into concise, focused goals. It's not like I've never done something like this before... I discovered this quote in 2006, and it continues to be one of my favorites. It suited me perfectly as a math teacher, Student Council sponsor, instructional specialist, and now as a digital learning consultant. A couple years ago, a friend even created this painting for me, and it's prominently hanging in my office. Starting in 2012, my students and I created 6-word memoirs. I still love this focus sentence. I love to help find solutions. The sentence worked in my previous job because it was very "math-y," plus I was working at the campus level to solve problems. Now I find ways technology can solve problems. I created a 5-word GPS for the 2014-15 school year (my last year on a campus). When I look at the words now, I see my focus was so much about building a community of learners and creating psychological safety in my class...and that is all still good to remember for my professional development sessions. Last year, I took an online class (#ClassyGraphics) where an optional assignment was to create a manifesto, and I worked for weeks to choose the right words that described my values and beliefs. Looking at all of these quotes, words, and reflections from past years helps me understand my values and priorities, but how can I be more concise? I see a lot of similarities in my words and ideas. What I like about the Everest Challenge is the teacher says every single day in his classes, his students are working on one or more of his 5-6 broad goals. During the podcast interview, Dave said he started writing his ideas on an index card, carried it around for days (weeks?) 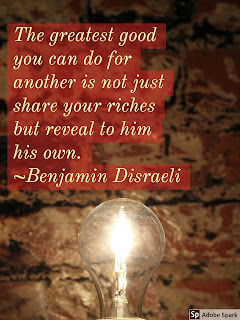 to refine and reflect on his words. What is my work all about? Right now, I'm thinking something like, "I want to help others see how technology empowers us to learn, connect, collaborate, and create." Hmmm... Am I able to spend the majority of my time using technology for learning, connecting, collaborating, and creating? Is this focus fulfilling for me? Suggestions? Still thinking and reflecting, and always learning. PS - With "Zigging and Zagging," I'm finally ending my alphabet blogging challenge. Talk about perseverance. It took way too long to finish 26 posts, but I'm glad I did it! 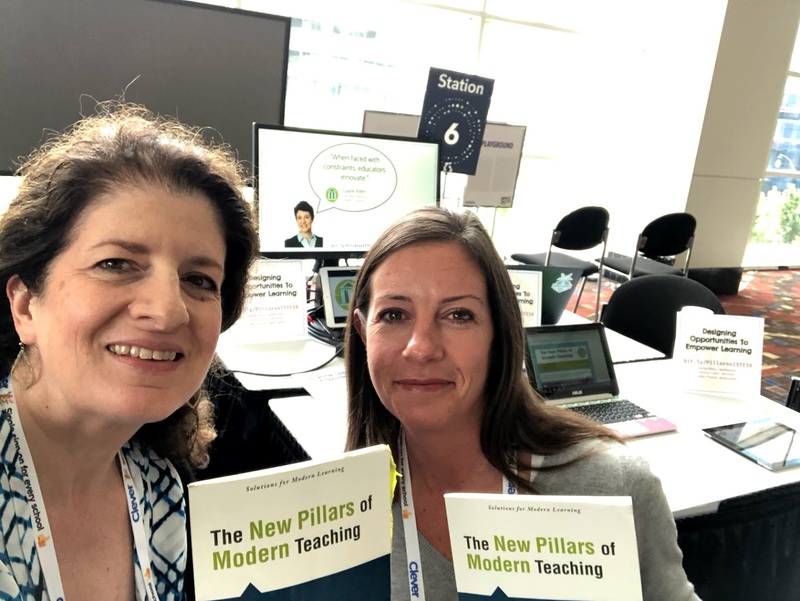 Anyone who is around me for more than 5 minutes hears about my favorite educational book The New Pillars of Modern Teaching. The ideas in Gayle Allen's book truly transformed how I think about teaching and learning. (See this post for an overview.) So this reflection started as ponderings about YouTube, but as with most everything in my educational world, it's going to circle back to the New Pillars. Last year, I read great advice for conference-going, which was to attend a session that was outside your comfort zone or area of interest. Find something that might push your thinking. 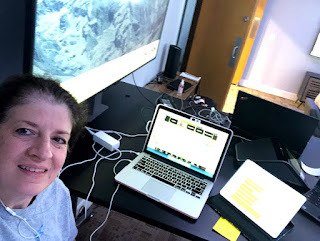 For that reason, on the last day and the final session of ISTE 18, I found the session Teacher Reflection and Professional Growth Through Vlogging. The session description sounded interesting (except for the video part) but I didn't recognize the presenters' names. I ran into a former colleague in this session, and based on his enthusiasm (and the response in the room!) I learned that the presenters were "celebrities" in the TeacherTuber world! I had no idea that just like blogs, Twitter, and Instagram, there is an entire community of educators that share and support each other on YouTube. 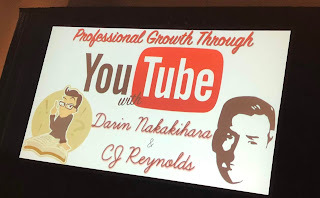 Check out CJ Reynolds' and Darin Nakakihara's channels to see their vlogs. Their presentation was dynamic and inspiring, and they spoke with enthusiasm about their community of learners and how they used video to learn, grow, reflect, and share. 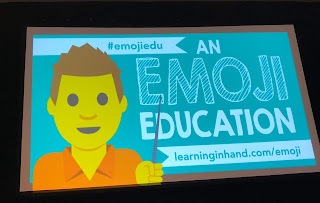 As wonderful as their presentation was, I have not spent any additional time exploring YouTube and TeacherTubers. I am not interested (right now) in joining that community of learners. BUT because of my understanding of the New Pillars, I realize that's OK...that type of medium is not my learning preference. I also realize that vlogging might be a favorite platform for some of my session participants, so how can I provide more video as an option? Just like students in our classrooms, our preferences are not going to be the same as our students, so how can we accommodate for those differences? How can we design learning experiences that meet the needs of more of our learners? In The New Pillars of Modern Teaching, Dr. Allen provides a brief self-assessment for us to determine our own learning preferences. She asks us to reflect on a favorite learning experience and break down the experience in terms of the four elements of powerful learning design: time, place, medium, and socialness. Time: How much time did the experience take? Was it a short burst of time or a semester? Place: Where did the learning occur? Face-to-face? In a university? Online? Synchronous? Medium: What platforms were used? Audio, video, online, face-to-face? Socialness: How much interaction occurred? Was it face-to-face or virtual? I've reflected on my favorite learning experiences multiple times, and for our online book study, we ask participants to create a graphic to explain their preferences, so here's one of mine. 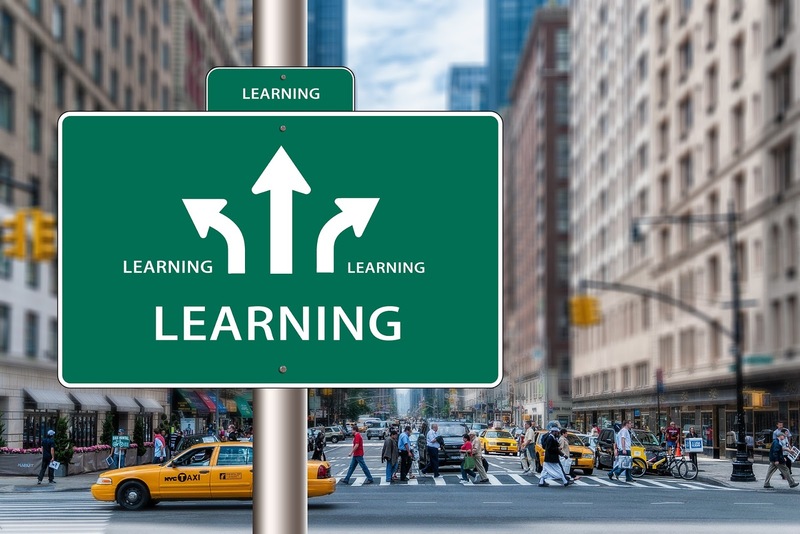 Now that I deeply understand my learning preferences, I know to look for learning opportunities that meet my needs as a learner. And because I realize my preferences differ from most others, I strive to include multiple elements in my sessions. I'm always looking for more ways to provide more choice, though! And for classroom teachers, what does this look like for classrooms where the curriculum is so tight and we have so many other spinning plates? A couple of years ago, we interviewed Dr. Allen for our podcast, and here's a short clip of a suggestion from her. In the book, Dr. Allen recognizes that teachers lack time to be able to do it all, and she frequently reminds us to start small. With learning design, she suggests to choose one of the four elements (like medium) and make a few tweaks. Her example above was part of a discussion about curation, but the idea applies to both of the pillars. Understanding these elements of powerful learning design also align with the ISTE Educator standard of Designer. At first glance, The New Pillars doesn't look like a technology book, but if we are going to succeed in implementing the three pillars, technology must be part of the picture. This standard and indicator ask us to use technology to design experiences that take all of those learner preferences into consideration. If interested, here's our entire episode with Dr. Allen. Have you reflected on your learning preferences? 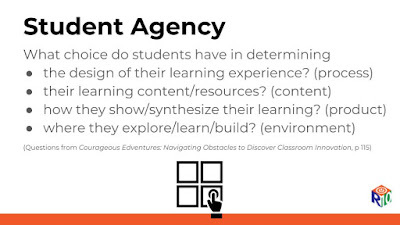 Do you use those preferences to design your own learning experiences? Would the learning preference self-assessment help your students or those you coach? Reflecting on learning preferences and learning design...and always learning. 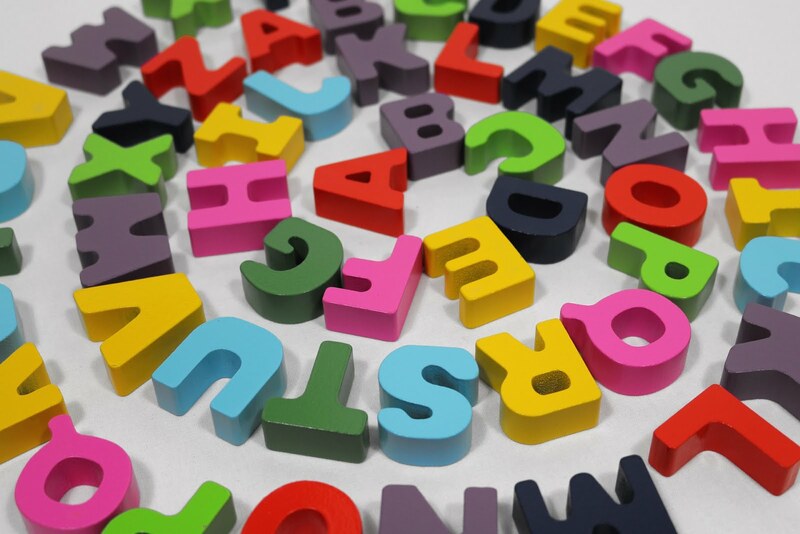 Many (many) months ago, I thought it might be a fun challenge to create blog post titles using the first letters of the alphabet, not knowing it would take so long to complete 26 posts. Now that I'm so close to finishing the pattern, 🤓I'm taking creative liberties with my spelling. But I did want to share what I learned from a few special summer experiences. Don't forget about conference Poster Sessions and Playgrounds! Ashley and I are ready to share at the ISTE Admin Playground! Because we were presenting during one of the Playgrounds, I made a special point of attending as many of these types of "sessions" as possible. What I learned: Posters and Playgrounds may be one of my new favorite ways to conference! In the past, I did not participate too much with these types of sessions, but this summer, I was much more strategic about how I visited, and I loved this format. Let others know you appreciate them. At mega-events like ISTE, there are more opportunities for "fan-girl" moments when you see those you admire. So this year, I decided to actually share my appreciation and thanks to those I don't know IRL. And for the most part, people seemed genuinely happy and appreciative that I spoke to them. And because I found these educators during Poster/Playground sessions, we had time for more than a few seconds of conversation. I stopped a couple other people and just said, "Thanks for your work and what you share with educators," and that always resulted in hugs. Most people want to know that you appreciate their work, so my lesson is to tell them! Several colleagues from my former district created EdChange Global, which is a 24-hour online learning experience. When they asked if I wanted to be on the organizing team, I agreed and helped plan the event. But the giant step outside of my comfort zone was to go to ECG "Headquarters" to help facilitate everything the day of the event. I flew to Scottsdale, AZ, for a quick weekend of work, and wow, what a learning experience. (Everyone said to visit Arizona in January, not July!) I had not spent much time with the people from my former district, I had never been to Arizona, and I only knew the location host from Zoom meetings and emails. The event was exhilarating (and exhausting.) Participating allowed me to connect with people from all over the globe and to expand my PLN. I discovered some best webinar practices. I helped connect others. I better understand the ins-and-outs of leadership and teams. The downside of this experience was that it occurred during the busiest part of my summer. It took about two weeks for me to be able to catch up on sleep and work. If the event is at the same time next year, I doubt if I will participate in the same manner, but I'm very glad I stepped outside of my comfort zone and tried something new with a different group of educators. As a consultant, I spend my summer facilitating learning experiences for educators. Now that school is in session, I have a bit more time to think, reflect, and unwind. It was fun to remember these extra special summer moments and to consider how these experiences helped me learn and grow. Always learning, even during hectic work times! 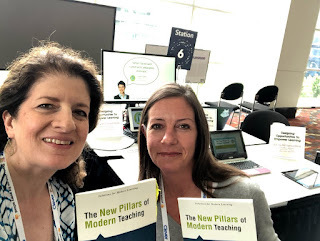 Even though the conference was a couple months ago, I wanted to share a bit about this summer's ISTE Chicago experience. A something-to-think about quote was “If you don’t have the technology to hear from every student every day, that’s not an equitable classroom.” I'm wondering: how many of our districts practice this kind of "techquity?" (his word) Our districts are all over the place with access and use of devices. What can our team do to help facilitate more techquity in our region? I waited outside the room for an hour to ensure I had a seat in this session. I participated in two of Tony's online courses and learned so much from him, so I really wanted to meet him face-to-face. I appreciated my colleague Ashley for waiting with me, and we both wanted to see him present. And side-note: I know the long lines cause some grumbling, but that's part of the conference experience, and that's where great conversations happen, too. Tony's session was fantastic and fun. He was engaging, the ideas were easy to implement and relevant, and he shared many tools and resources. One of my favorite moments of the session was that Tony recognized me in the audience...even though we had never met face-to-face! After I recovered from the excitement of his simple, "Oh hey, Kathryn," I reflected on the importance of names, acknowledging others, and making connections. How often do I call others by their names during my sessions or even in the hallways at work? (Not enough!) After this huge reminder, I worked during the rest of my summer sessions to learn as many names as possible, even if I was with the educators for only 1 hour. If I knew anyone in the audience, I wanted to make certain I said something to them personally. How many opportunities have I missed when working with teachers? I think I did a much better job when working with students, but this personal experience made me realize that "I see you" is just as important for adults. As Ashley and I reflected that evening, we brought up the possibility/need of offering more online courses in our work. We both mentioned that a problem with online courses was the lack of community and collaboration...but then Ashley said WAIT, Tony created an amazing community of learners in his courses, so it can be done. I experienced it myself, as did apparently most people in the room and in line in the hallway. As soon as Tony started walking toward his presentation room, the energy seriously changed in the waiting area. When he mentioned #ClassyGraphics or #ClassyVideos during his session, the room erupted with applause! Tony created this terrific community of learners, all within the confines of an online platform, so it was a reminder of the power of virtual collaboration. So the big question for us is how can we replicate a similar sense of community for online courses we develop? Revisiting my notes and reflections from ISTE day 1 has given me plenty of things to wonder about. My theme from this day (and probably the conference) was connections. It's so important to find ways to make connections with our students and the adults we serve. What can I do connect with others in more meaningful ways? My teammates and I facilitate a session called Designing Instruction in the Digital Age, and as I updated my work this summer, I found it interesting how all of my "favorite instructional worlds" kept colliding. Student voice includes creating content to demonstrate their learning and sharing their voice with others through discussions, backchannels and possibly social media. Student choice means students choose how they learn something, how they demonstrate their learning and, possibly, what they learn. Here's one slide from the presentation, and I use exactly the same wording whenever I discuss differentiated instruction. In the professional learning sessions I facilitate, I feel like I'm doing a decent job with the choice part of the workshop or training. I provide a variety of mediums for participants to access the content. I typically allow time for educators time to pick-and-choose articles, tools, or resources to explore. For the voice part, I'm looking for additional ideas. We usually have a backchannel for the session, and we encourage participants to share their reflections using a common hashtag...but what else? 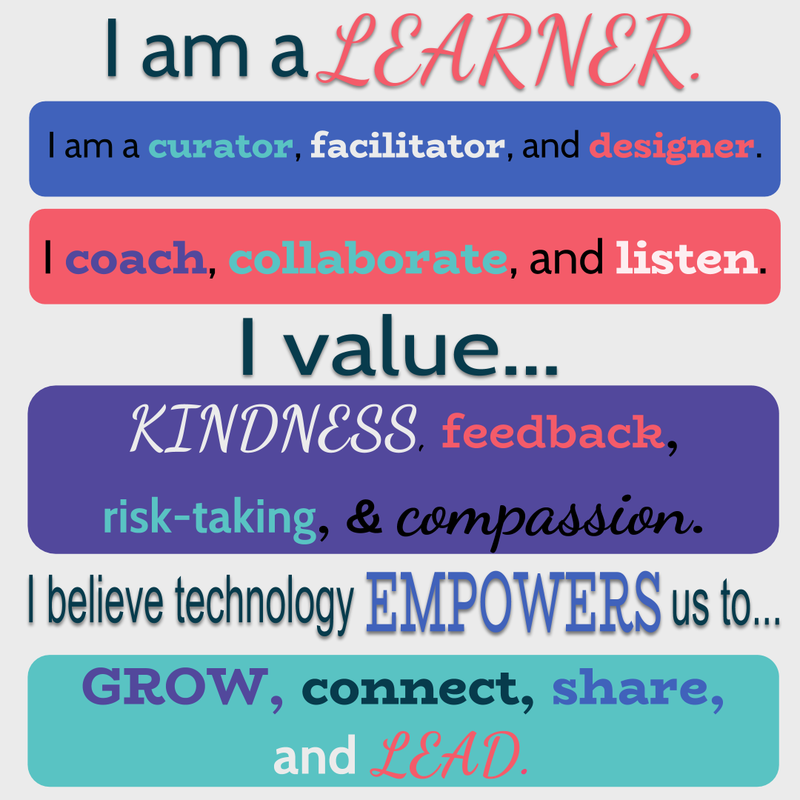 What kind of voice and choice do educators need for their own professional learning? Type your name as the title and send. Thinking a lot about voice and choice, and my journey of differentiated instruction, the new pillars, and now designing instruction in the digital age. I update this blog sporadically, at best, and I know I never wake up in the middle of the night excited to write a blog post. This morning, I started brainstorming a bit and I thought that adding a little bit of audio might motivate me to become unstuck about my blogging. I was working on an upcoming session about podcasting, and I wanted to try the Anchor app. The website declares, "It's the easiest way to start a podcast. Ever." I knew other educators used Anchor for their podcasts, so I wanted to include this tool in my session. I decided as a model, I could try Anchor for this blog post. In our sessions, we share the importance of providing voice and choice: to allow students to access the content or to share their work through audio, video, or text or a variety of mediums. We provide a plethora of sources and allow participants time to explore the readings and tools of their choice. That's what led me to wonder: is there a way I can add a little bit of choice on this blog? Would this choice in platform help me become unstuck with my blogging efforts? It took me a little bit of time to create a logo for Anchor, and it's not great, but if I wanted to create audio connected to my blog, at least I already had a name and colors. Since my colleagues and I already create our Digital Learning Radio podcast, I was at least somewhat familiar with the other podcast requirements. We'll see how this works and how often I include a little bit of audio on the posts...but for now, this idea inspired me to jump out of bed on a summer Saturday morning. I'm a little less stuck now, and I am motivated to try something new, to explore new tools, and to share content in new ways.